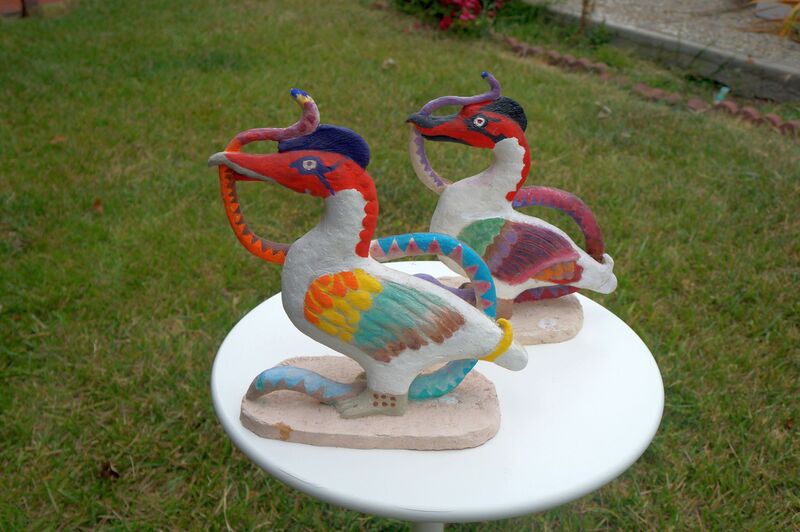 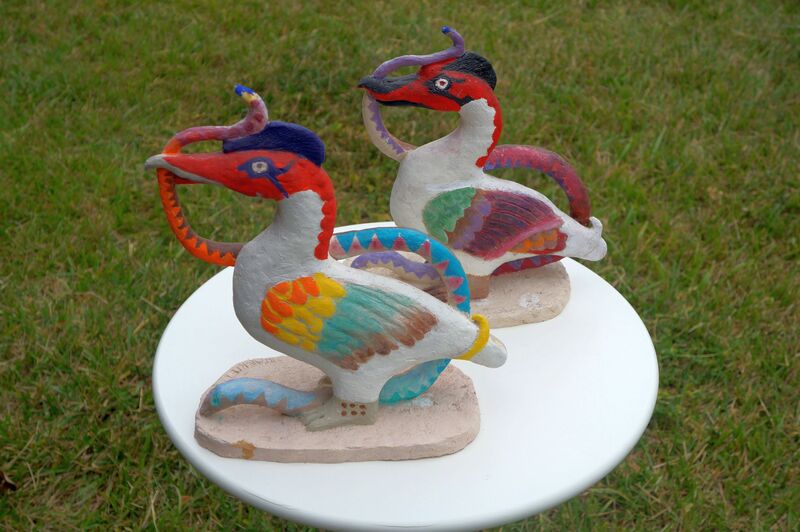 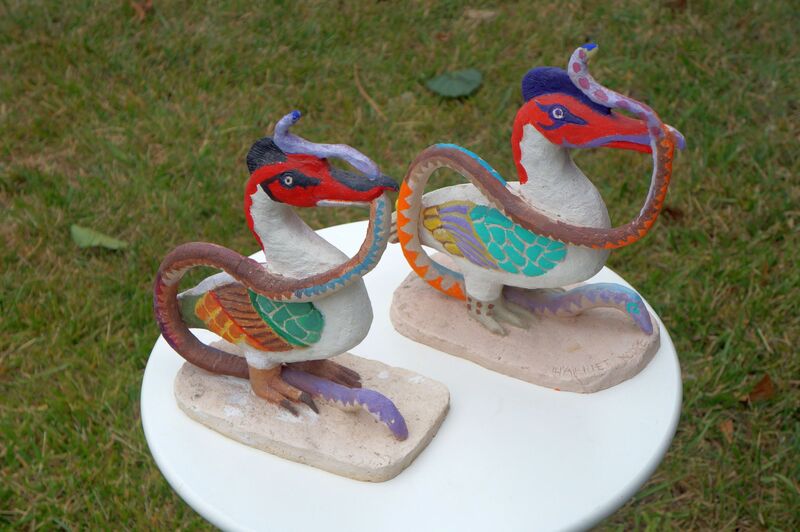 Muscovy Ducks with Snake, 2008, terracotta, 12 inches by 11 inches by 5 inches. 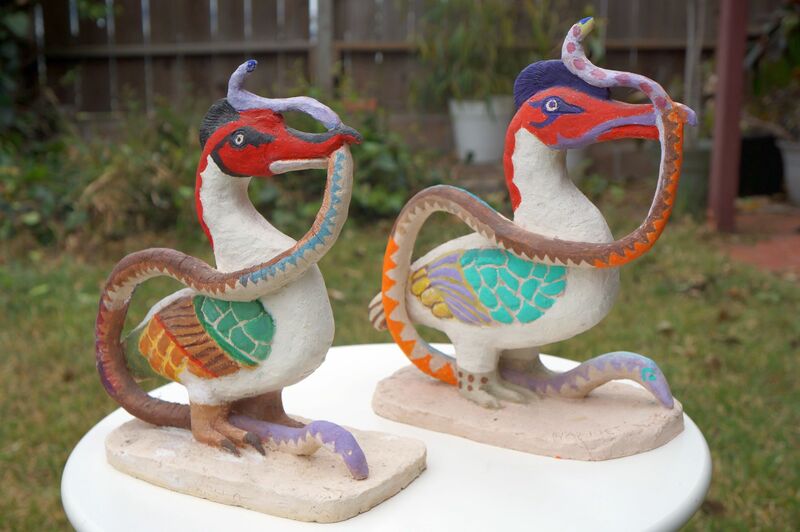 The Muscovy duck (Cairina moschata) is a large duck native to Mexico, Central, and South America. Both sexes have pink or red wattles around the bill, those of the male being larger and more brightly colored.